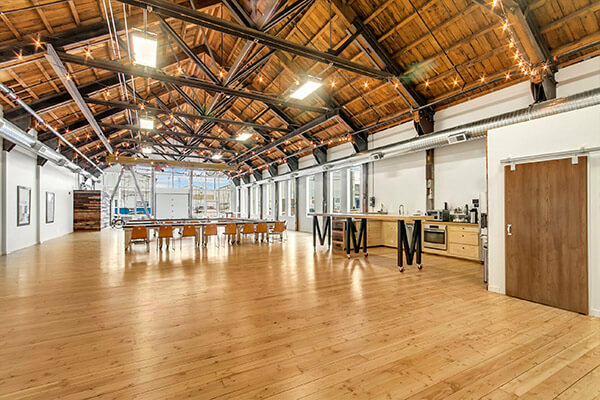 The spaces at Metropolist are fully customizable, making it an ideal location for a Seattle wedding, celebration or company event. Metropolist can evoke the dramatic effect of an urban industrial warehouse with 14-foot walls and vaulted 25-foot ceilings, floor to ceiling windows, exposed piping overhead, warm and bright wood floors. Elegantly urban, yet gritty and ever-changing, Metropolist is a great venue for throwing that unforgettable party, wedding, meeting or fundraiser.